© Zoran Milutinovic. All rights reserved. 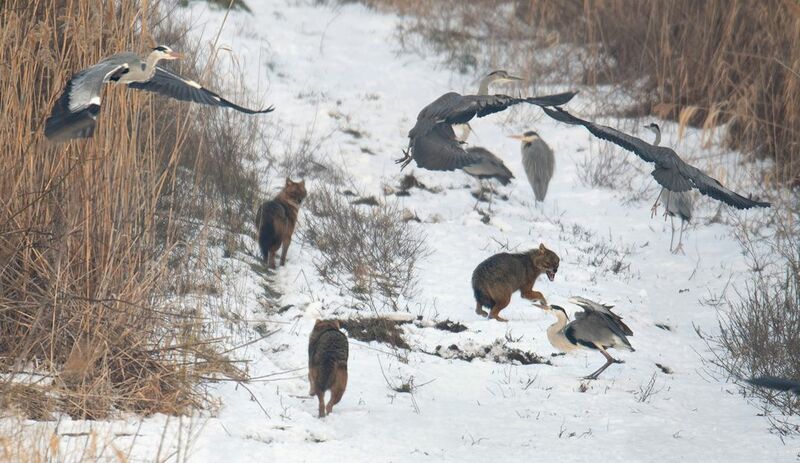 Three jackals passing by a group of grey herons. Suddenly one jackal attacks the bird. Date Uploaded: Nov. 30, 2018, 12:28 p.m.